Monetizing personal projects is important to me and I have found it to be a profitable way to build my business. You can too! I made a twilight photo of my favorite local restaurant while experimenting with showing the lighted interior and a sunset. It was where I learned that the easiest way to make an interesting architectural photo of real estate was to set up the camera on a tripod and capture images over a time period of 20-45 minutes and blend them together. After this image was made I entered it in the Arizona Professional Photographers Association annual image competition. After receiving feedback from the judges I realized there was more to learn with this technique. While the image did not merit it earned an above-average red ribbon. If that was all I got from assigning and completing this personal project it would have been a winner. But I didn’t stop there. I framed the print, adding the award winning ribbon and my business card and offered it as a gift to the restaurant. Even though it had room for improvement the owners loved it. It was put on display in the restaurant in a high traffic area, which was solid exposure in and of itself. But even more, it helped cement my relationship with them. Fast-forward about a year and the owners sold this restaurant. 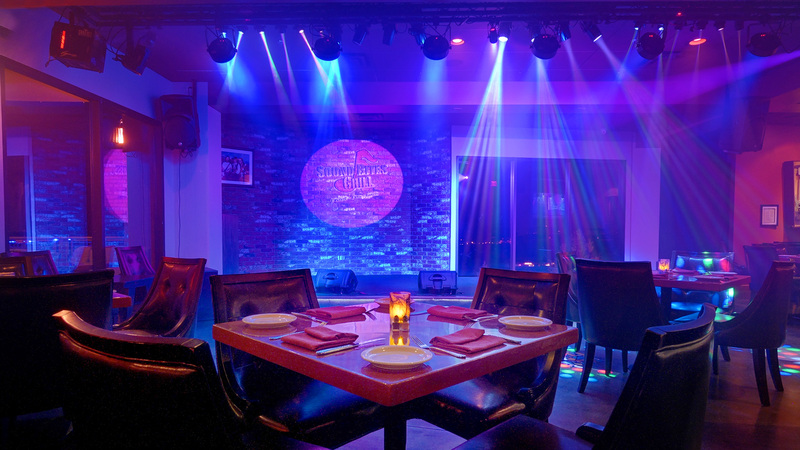 They remodeled and opened a new restaurant that was much larger and featured live entertainment. I was hired because of my working with the owners to help promote the renovations and create interest and excitement for the opening. We came up with the concept of combining the photos with text, using the voice of the owner, explaining the thought process of the demolition and décor choices in the form of a set of ‘Polaroid’ photos released over time before the opening party. I added additional revenue to the project by offering to design and sell customized music inspired metal prints to decorate the niches in the main dining room. Then it was time to create all the marketing images, which included food, interiors and exteriors with the surrounding red rock views.